There's nothing better in the New Year than New Year Love. Be it with a human, a new pet, a new winter coat.. For me this New Year it's definitely Love with my Nikki Stark Jewellery. 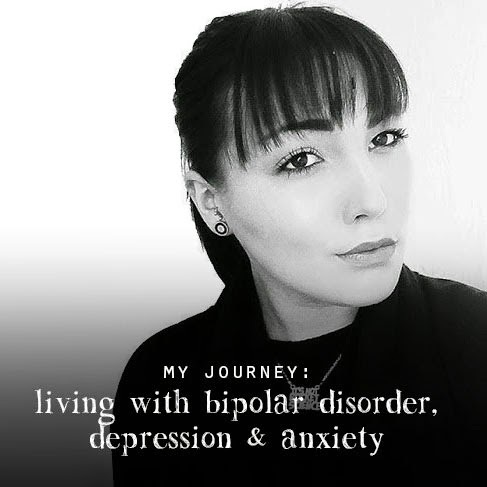 Nikki's inspiration is varied but her creations are divine and Nikki loves leaving space for others to give their own interpretation to her pieces. Nikki's Stella Rings are flying saucers, seed pods, smarties. Her Anastasia charms are Christmas baubles, pendulums, sweets, or to one girl she met at a fair, spinning tops in the Istanbul market she visited with her father as a child. Everyone has their own interpretations of these exquisite designs. Nikki works generally on a small scale. Delicate, almost fragile in appearance. They don't make a huge statement, but her designs tell a story, and I love that. Nikki Stark's pieces are intended to be lived with for many years, to be a small statement of individuality, something that's adore for time. 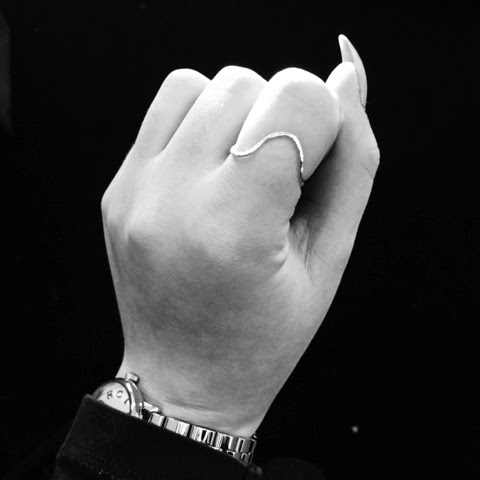 Her designs are available in Sterling Silver and 9ct Gold, and in 18ct via special order. All pieces are made by Nikki to order, slight differences from piece to piece, but that's what makes her creations even more unique, as Natural stones can vary hugely in colour too, and sometimes in shape. Her creative design options are endless, send Nikki an email if you have something specific in mind too! 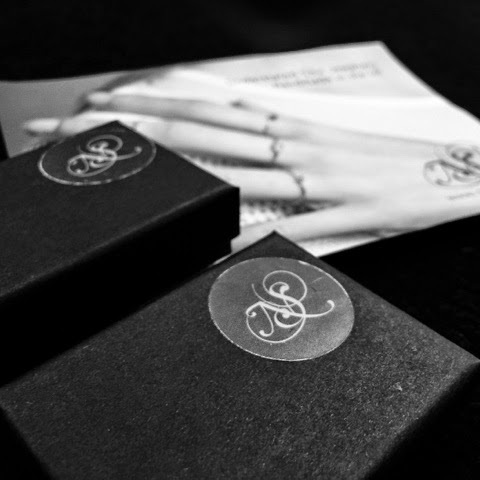 Nikki's designs arrived in gorgeous boxes, stunning packaging and really gorgeous photo post cards too. 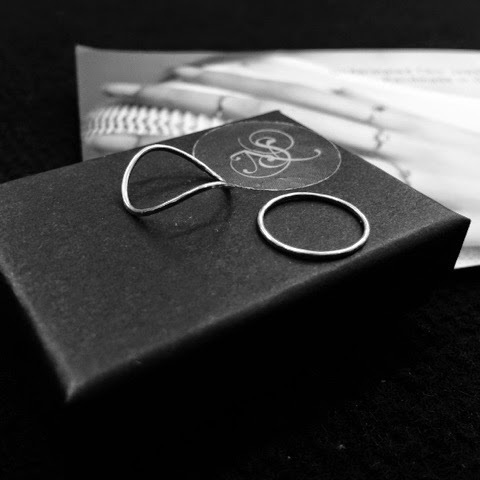 In the first box I opened from from Nikki Stark, I was greeted by the most amazing subtle statement ring, her Silver Sally Ring. So unique in design with gorgeous waves and carves, so elegant and perfect. 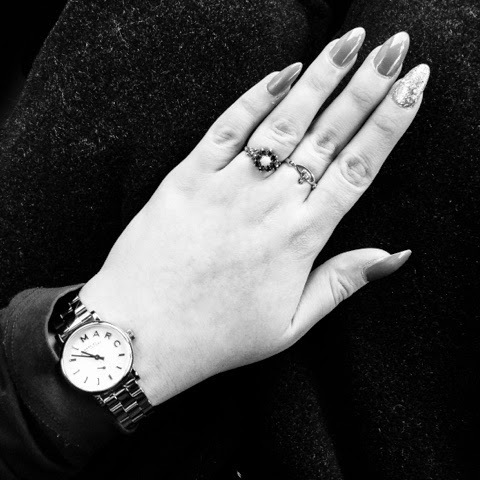 I love rings as it is and I love wearing lots of rings, but not so much thick, heavy, bulky ones I much prefer a delicate subtle statement ring that has such unique beauty and is a manageable size so it can we work for all occasions, smart or casual, day or night and this is where my little Silver Sally is just perfect! 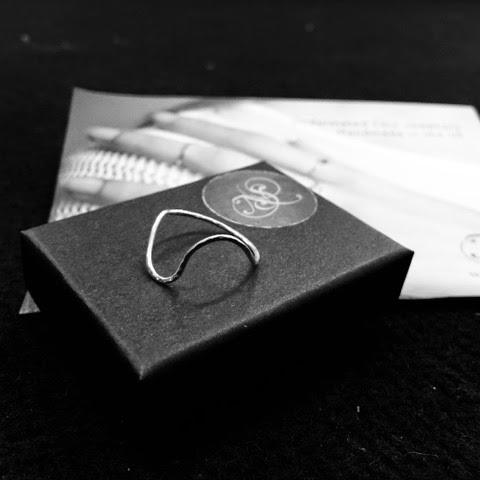 In the second perfect little box of January Jewellery Goodness, was Nikki Stark's Skinny Midi Ring and Wishbone Midi Ring Pair that look absolutely beautiful stacked slightly separately on the same finger giving a cool abstract feel, so fresh and on trend. 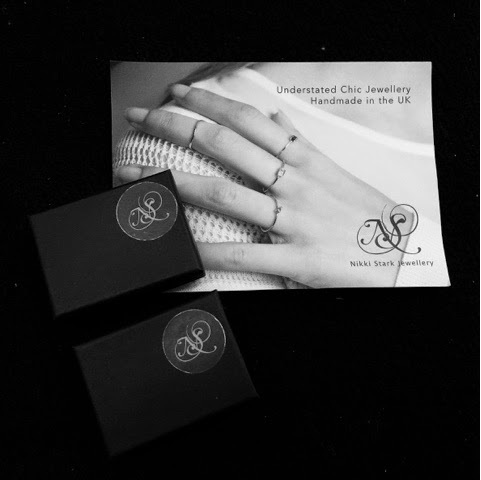 The Rings are just stunning, dainty but such quality and are lovely mixed and match with other jewellery too and even more perfect on a statement nail polishes finger. 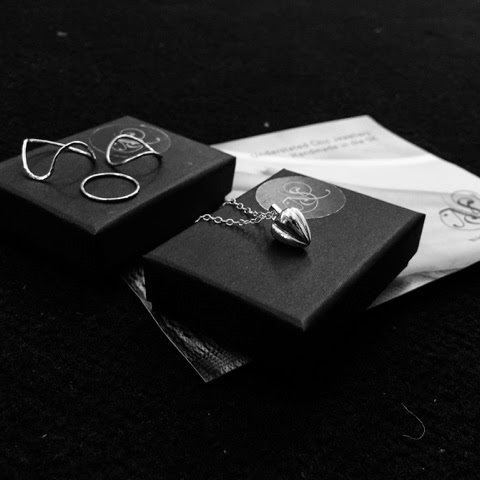 In the final box of beauty was the most beautiful silver necklace, her name is Anastasia (No. 3 to be exact) and she has added a new life to my necklace collection! 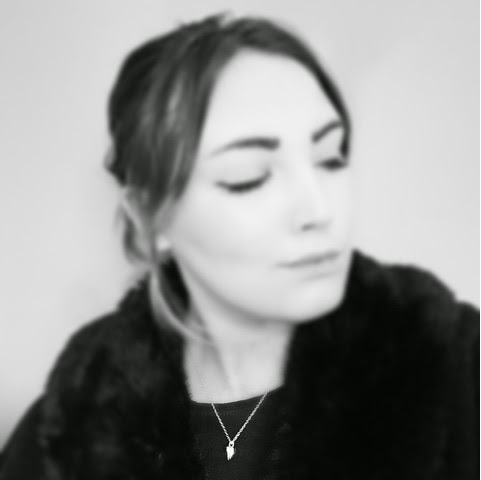 I love switching between statement necklaces and dainty necklaces for different outfits, styles and occasions but I always find it difficult to find a dainty necklace I fall in love with, and I definitely, definitely fell in love with Anastatia III. Reminding me of orchid buds and spring is such a nice interpretation to style up in the winter reminding me of snowdrops and the warmer months, and with beautiful shiny silver tones is a gorgeous, gorgeous necklace charm that I love wearing with a plain tshirt and my fur jacket exposing Anastasia's subtle but undeniable beauty. 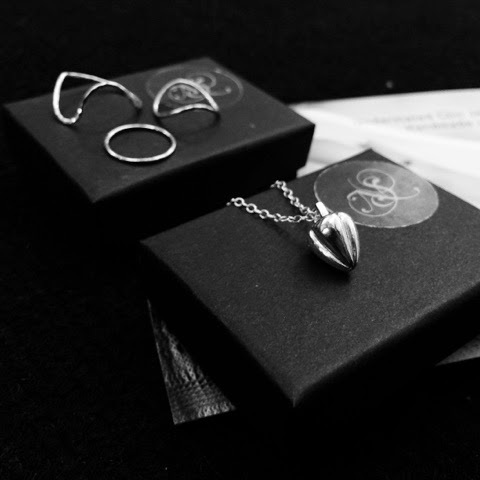 Her sisters vary in size from a slightly bigger double bud to a triple bud charm which allows you to choose between the more subtle or more statement of the sisters, and they're also available in Silver or Gold too, so whichever your preference she's available. Nikki's designs are just stunning. 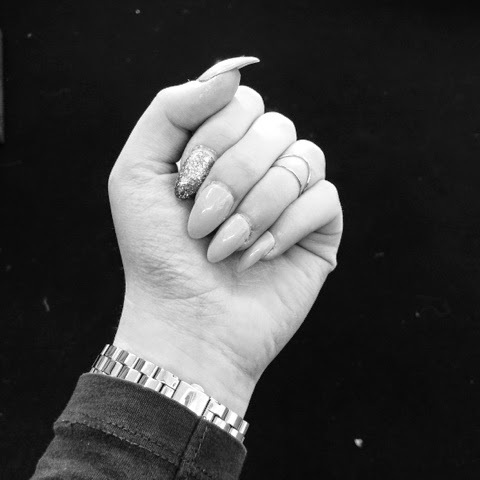 It's rare to find jewellery so unique that has so much character but that your not scared to wear, and to get such unique pieces that aren't offensively expensive. 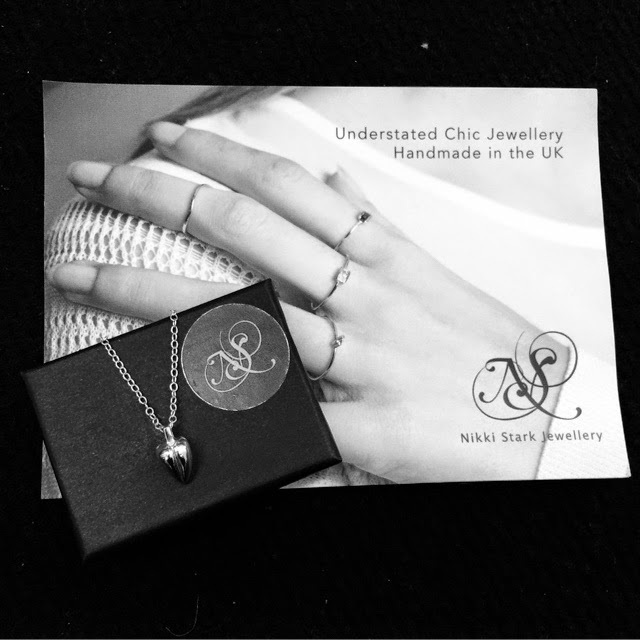 Nikki's designs are the perfect treat for jewellery you'll treasure forever, they're also the perfect pieces for gifts. 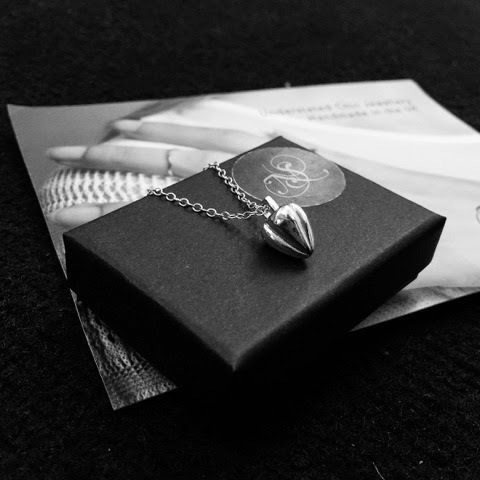 Every girlfriend, mum, Nana or sister loves jewellery, and what's a better gift than a stunning unique piece that you can't buy just anywhere. 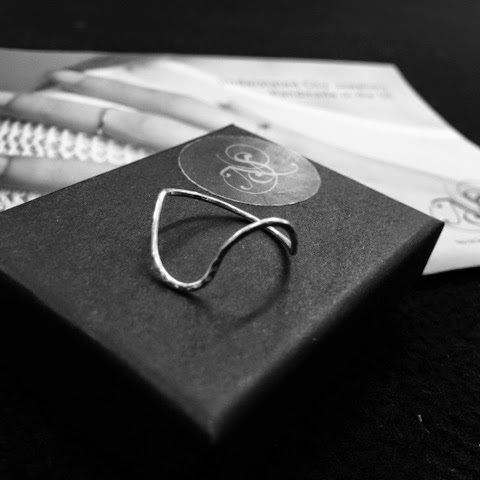 Nothing is better than a sentimental gift, and nothing's better than a sentimental gift of jewellery. 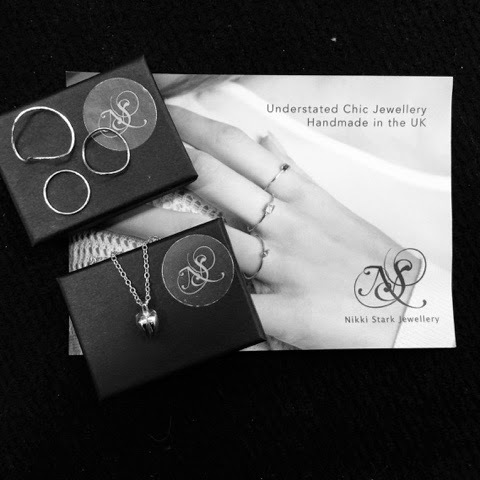 Be sure to check out Nikki Stark's Website (http://nikkistarkjewellery.co.uk) where you can view and purchase all her unique jewellery collection, and begin you interpretations of her incredible jewellery talents and her amazing designs and fall in love, just like I have. Preheat oven at 180 Fan. Separate Egg 3 Whites into a bowl, and begin to wisk with electric wisk and slowly add Caster Sugar, Colouring and Flavouring until mixture makes stiff peaks in the whisked egg whites. Take mixture off the wisk as fold in Almonds and Icing Sugar until the mixture is all mixed together, making sure you fold in the mixture, not stirring. 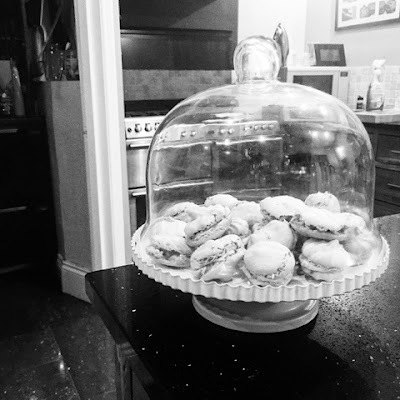 Add final mixture to a Piping Bag and Pipe into equal circles onto a grease prof paper tray or Macaroon Silicone Tray, use markings of desired or rely on a trusty baking eye. 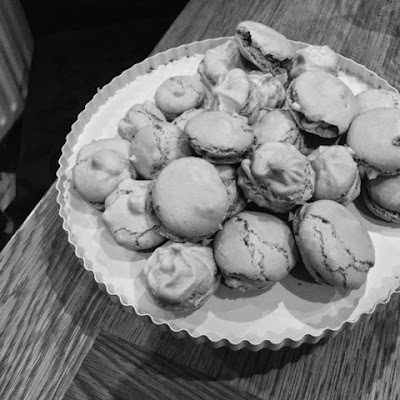 Place Macarons into the oven for around 8 Minutes making sure when taken out they have formed cooked tops and are Macaron shaped. 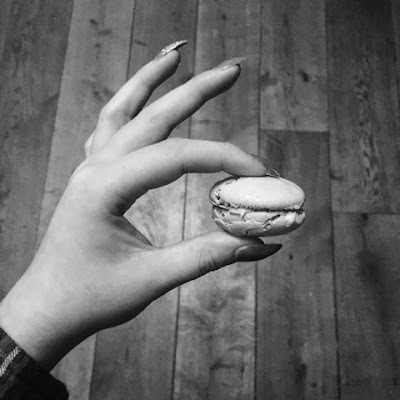 Leave to cool before removing from paper and pipe on the filling and choose from butter cream, frosting, jam, chocolate etc whatever your favourite macaron filling, onto one Macaron before popping the other on top! 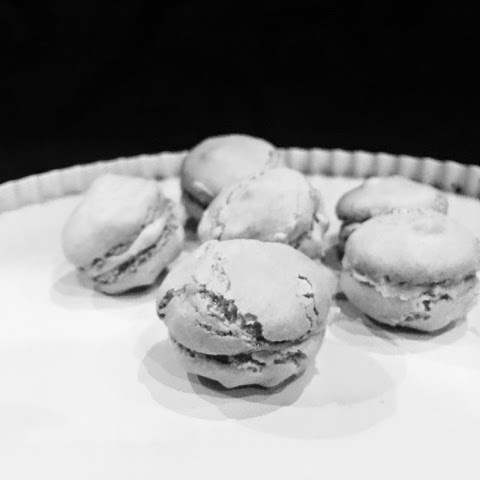 I hope you enjoyed this simple 5 Step #StyledbyCharlieBaking Recipe! Please tag me in your Macaron Bakes using my recipe with #StyledbyCharlieBaking on Instagram and Twitter. 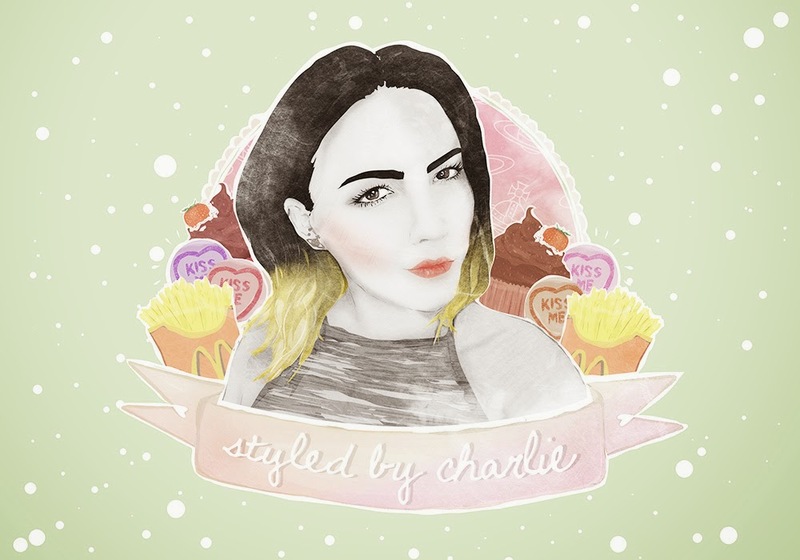 Styled by Charlie meets Illustration. I've been working on a collaboration with talented illustrator Mol Mathews and case design company Case App, and we've made something wonderful! I love art, and I love coming across new talent and especially young art talents. Mol Mathews is a Midlands girly like me, an illustrator inspired by popular culture, seduce by colour and entranced with texture. 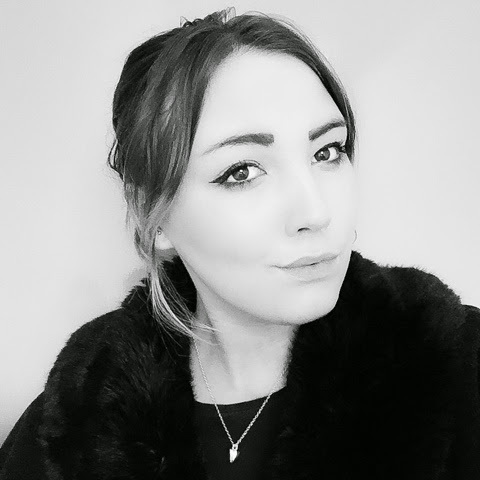 I've been in absolute awe of Mol designs for about a year now when I came across her amazing talent on Instagram with her designs such as Kelly Osbourne, Lily Allen, Kevin Bacon, Ryan Gosling, Miley Cyrus, Gaga, Morrissey and many, many more. However my favourites of her designs are definitely her personal commissions. I don't know any of the people featured in Mol's personal commissions however I couldn't quite believe how amazing they are. Her designs show such personality in a picture, and in couple commissions portray such love, lust and belonging in a picture, is just outstanding. So, Molly and I worked on a Portrait Commission of Moi! 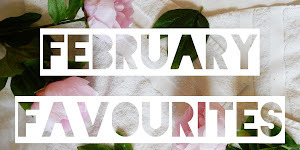 Mol and I thought It would be fun and fresh to include include my interests, favourite things and indulgences in the design as well as myself, and of course a Styled by Charlie banner. However the thing that was most important to me when working on this commission with one of my favourite illustrators ever was that it was kept close to her style and was mostly influences by Molly herself and her amazing, amazing ideas. So taking a picture of myself, and a list of things I love; Sweets, McDonalds Fries, Vivienne Westwood, Baking etc. And what Mol came up with, I just totally, totally, totally adore! With a love of Cases and Skins for my iPhone, laptop etc I thought how fabulous it would be to have Molly's amazing designs on my essentials. 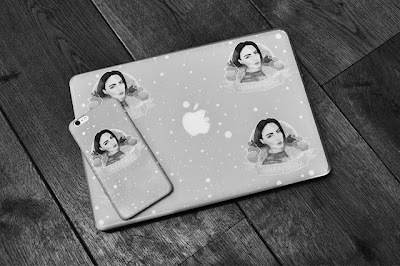 So collaborating with the amazing, easy to use, Case Design company Case App I put Mol's Designs on my favourite things so I can have them on display forever! Starting with my iPhone 6 Plus, and I love, love, love it! Case App do cases from £19 for all major smartphones. From iPhone 4 to iPhone 6 Plus to Galaxy S3 to Galaxy S5 as well, as all iPad's and iPod Touch's too! Case App's cases are such amazing quality! Usually when you design a personalised case unfortunately they tend to be a low quality glossy material that marks, faded and wears. 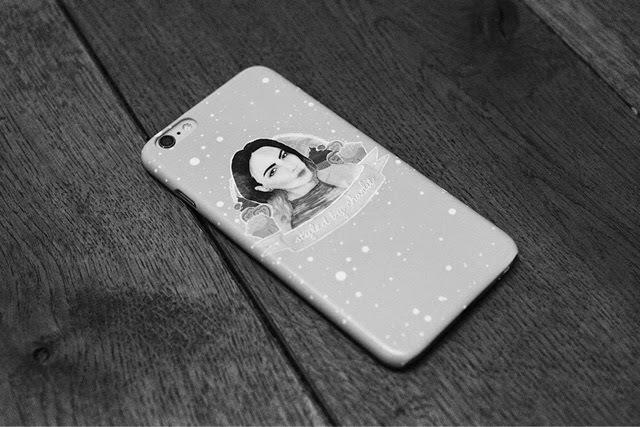 However, Case App's cases are so hard wearing and the perfect size, thickness and such good value for money. Case App allow you to choose from a Matte or Glossy Finish to your case depending on your preference and style for no extra cost. Another thing that's fabulous about Case App is their easy to use website, which is a god send! Usually with personalising website they're quite temperamental and difficult to use or the usual issue, very, very slow! However, Case App's site is so easy to select your phone, style, finish and easy upload system is a breath of fresh air frankly! When choosing my iPhone 6 Plus Case I chose a Matte Finish, as I much prefer Matte in anything, simply uploading my Mol Mathews Illustration, adding to my cart and with speedy printing and delivery it arrived and it's just perfect! 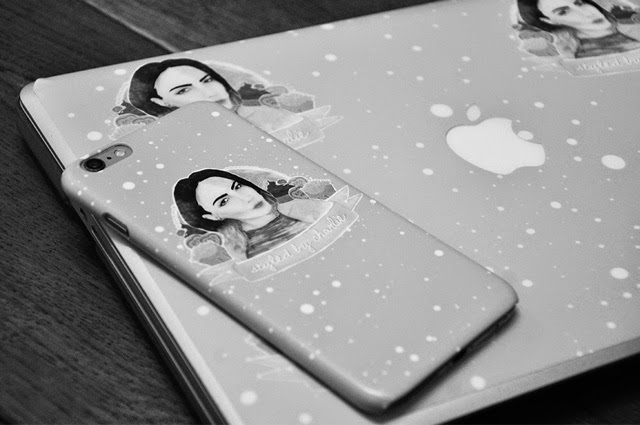 Not only do Case App do personalised Cases but they do Personalised Skins from £12 too! 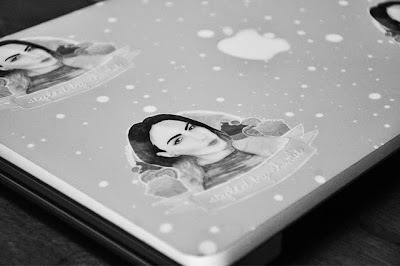 So I also designed a Skin for my beloved MacBook Pro (from £22) with my portrait by talented Illustrator Mol Mathews to cover my MacBook in, and adore it! Again with a gorgeous Matte Finish that with quick delivery arrived in speedy time and has a gorgeous finish, and look amazing covered in Mol's designs. The Skin's fit perfectly with the Apple logo cut out which allows the signature Apple to glow happily with an easy stick and easy removal Skin that is hard wearing and frankly beautiful! I've had a Case on my MacBook for a few months now simply for protection purposes and unfortunately didn't make my beautiful MacBook look beautiful, but my Case App Mol Matthews Illustration Skin has given life and style back into my beautiful MacBook Pro with stylish protection perfection! If you love a case on your possession whether it be for stylish purposes or protection purposes, Case App offer an amazing selection with the best easy to use upload website I've ever used. 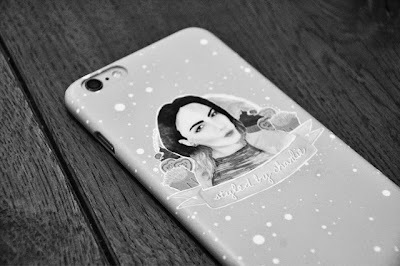 If it's protection you're after as well be it if you're clumsy, or work where you need a strong phone case Case App also offer personalisable Tough Wear Cases too! If you love Cases and Skins, I highly recommend you check out CaseApp.co.uk and have a go at designing your dream Case or Skin! If you love art, designing or personalised designs check out Mol Mathews Design Instagram and fall in love with her amazing, amazing designs and indulge in her fabulous talent. 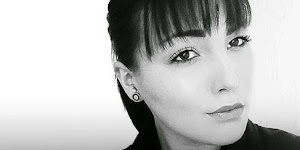 I'm also on YouTube and you can watch my videos and Subscribe to my Channel here. 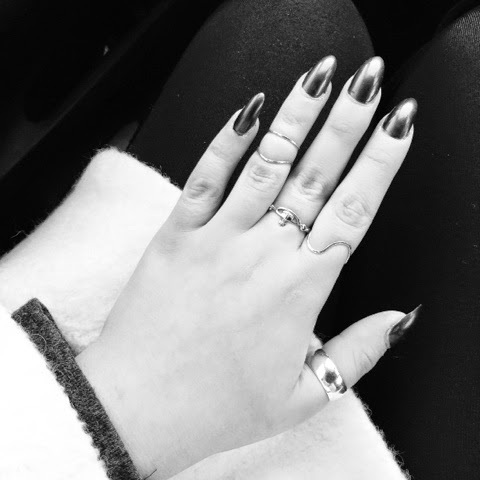 FIRST STYLED BY CHARLIE BLOG OF 2015! 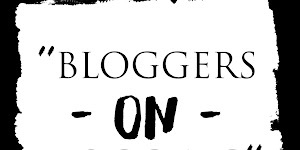 Happy New Year to all you lovely readers, thank you for all your support in 2014 during my first 8 months of Blogging, let's make 2015 even better! 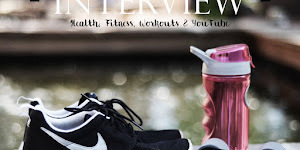 Start by checking out and Subscribe to my YouTube Channel here. 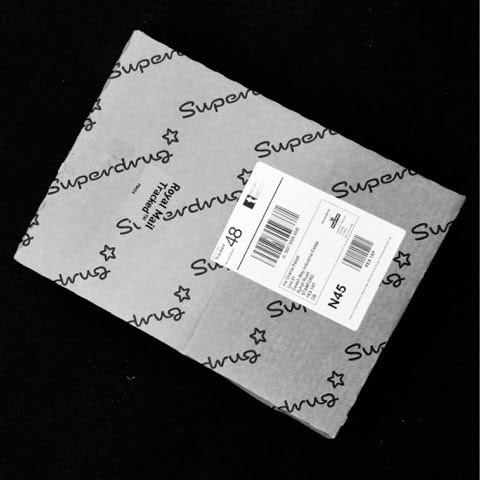 What's better way to enter 2015 than with a new beauty delivery? 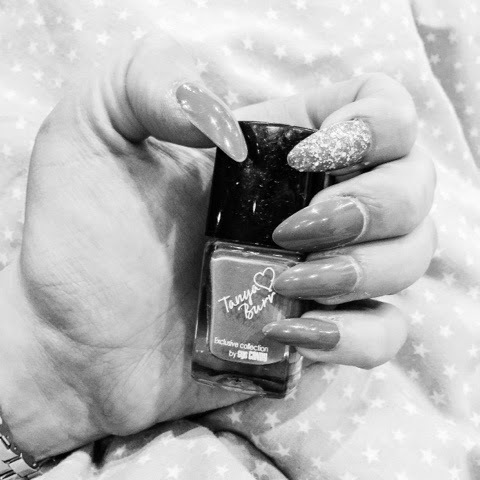 If you guys don't already know how much I love Tanya Burr and her amazing collection of products, which I find so unbelievely hard to get hold of round my area I thought that the New Year meant my beauty and nail collection needed a 2015 refresh of some Tanya Burr Beauty products! So off I went to Superdrug.com and place an oh so exciting order! I was really, really upset an disappointed after placing my order and receiving confrontation and despatched email about my order then a few days later receiving a cancellation email from Superdrug of the main item I was so excited to receive, Tanya Burr's Nail Set 2 with some of her limited edition glitters, that I was now not going to receive.. But I did receive 2 Lipglosses and 2 Nail Polish, with the added extra of a mystery Nail Polish double up that I'm not entirely sure if that was my clumsy fault, or Superdrug's? The Lipglosses I ordered were Picnic in the Park and Aurora. I already own Chic and I love it as a day to day gloss as a glossy alternative to Mac's Velvet Teddy with it muted glossy matte natural tones that is definitely a makeup bag essentials. But I've been seeking some more spring/summer colour glosses as I love how perfect Tanya's makeup and lipgloss looks when she wears Picnic in the Park and Aurora. I have to say Aurora is my favourite! It has stunning pinky peach tones and has such a gorgeous gloss and really, really good staying power too. However my favourite thing about Tanya Burr Lipgloss' is the applicator. It's the best lipgloss applicator I've ever, ever, ever used! It hugs the lips and glides over ever inch of the lip, whatever your lip shape. I also love the texture of the applicator, I always find with lip glosses most lip gloss brushes are quite hard and in comfortable to apply which results in my never using them because of the poor applicator quality. 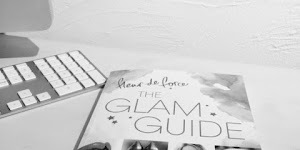 So when I came across Tanya Burr's lip glosses I was so, so, so impressed of the all round quality of the applicator, gloss, packaging; The whole product and such amazing value for money. The Polishes I went for were Penguin Chic and Little Duck. I've been after these two polishes for ages after watching many of Tanya's summer videos of her wearing Little Duck and more autumnly Penguin Chic. I was equally impressed with the quality of the polish as I was the quality of the Lipglosses. The polish is amazing! 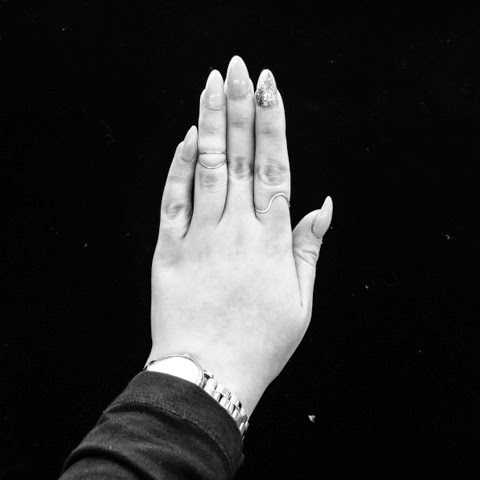 It's thick but quick drying, the colour is exactly as your expect and dries in seconds with the most gorgeous, gorgeous glossy finish as if a top coat has already been added, therefore a top coat is not needed! I've been wearing Penguin Chic Polish for 5 days or so now as it's amazing, no chipping, no loss of shine, I just love it! 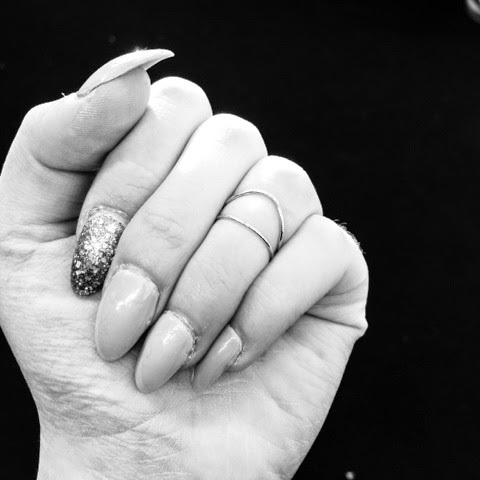 After a couple of days I decided to add a statement nail to my Penguin Chic Stiletto Elegant Touch False Nails and attempted to find the perfect match in a glitter for a statement nail. I received the Ciaté Manor Mansion Advent Calender for Christmas, and If you can get hold of one of these in the sale anywhere like TK Maxx, don't hesitate, just get it! You get 23 Mini Ciaté Polishes and the 24th is a mystery large Ciaté Polish, which happened to be my Penguin Chic's Perfect Match! My mystery Ciaté large polish was Celestrail. 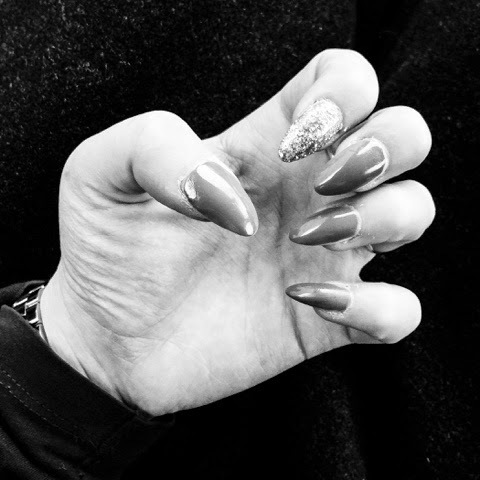 The most gorgeous Silver Sparkle Glitter which on a statement nail such as your index finger adds the perfect festive touch to your nails, and look exceptionally amazing with stiletto nails, if I do say so myself! So if you're contemplating purchasing any Tanya Burr Beauty product, do it! They're so amazing and such fabulous quality and great value for money! I recently got a NARS Lipgloss and I must say I think Tanya's Glosses are definitely, definitely as good, maybe even better! So head over to Superdrug, check out Tanya's amazing collections and fall in love like I have! 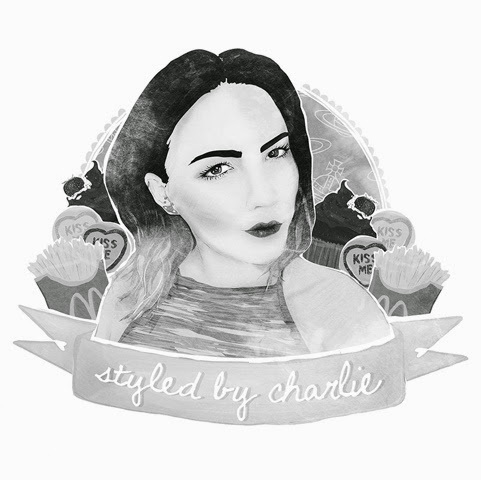 Check out my Styled by Charlie YouTube Channel and Subscribe here, as well as my Instagram @CharliePallett.